For those of us who believe history gives us a way to understand the world we live in, the recent events in Northern Mali have been especially wrenching. Mali is a poor country, but it has a long tradition and a strong culture that gives its citizens shared valued and enables them to live in dignity and to cope with their hard existence. During the last few months, ever since the March coup against the government in Bamako, that culture has been under attack in Northern Mali and especially in the ancient city of Timbuktu. If you have ever visited the remote city of Timbuktu, you have probably been impressed, as I was, by the exotic beauty of the city. It’s almost ten years since I traveled there with a group of American tourists. We flew on a chartered plane and landed at a modern looking airport after having flown over miles of a lovely sandscape contoured into pale colors and shapes. When we disembarked, we found ourselves almost alone at the airport. We were told that there was only one scheduled flight a week into and out of the city. Eventually we got our hand luggage and piled into all-terrain vehicles, which are the only vehicles that can travel on the unmarked, sand covered roads. Timbuktu looked like nothing else I’ve ever seen–the buildings are made of mud or stucco, and the roads and open spaces are covered with sand. It’s impossible to tell whether the roads are paved or not. They curve around the city and our drivers zoomed around buildings, donkeys, children, men in long robes and women in subdued colors walking along the streets. Most of the women balanced tubs of water on their heads. As soon as we dropped our things at the hotel, we were taken to see the mosque, the oldest mosque in Mali. Our guide, who worked for the Ministry of Culture, had a degree from Western Illinois University, and was in charge of preserving the culture of Timbuktu which had been named a UNESCO world heritage site. The mosque we visited was built in the fifteenth century and has been in use ever since. We took off our shoes outside, with the crowd of young boys offering to help, and then followed our white-robed guide into the mosque. He took us through the narrow halls to show us the elaborate carved wooden doors, the tombs of the saints, and a small courtyard. The floors and grounds were covered in sand; the courtyard had one small tree in which a few flame finches fluttered. We also went to a private library to see a collection of manuscripts. Henry Louis Gates had given the money to build the library, but the collection belonged to a private family. All the manuscripts were in Arabic, the earliest dating from the 12th century, and among them were some of the most prized treasures of Islamic culture. Our dinner that night was served on the terrace of the upper floor of the hotel. The air was cool by 7:30 when our meal began, the sun had gone down but it was still light. Waiters lit candles on our long table before serving us delicious vegetable soup. Then they brought in a whole roast lamb, which Ballo had arranged for us to have barbecued. The meat was tough and stringy, the result of eating free range lamb. We also had couscous, vegetables, and for dessert a creme caramel. It was delightful dining under the moon (few stars in sight) with a cool breeze blowing. The streets were almost completely quiet and the darkness beyond our hotel was overwhelming. The next morning we had breakfast on the same terrace. We could look down and see men pulling loaves of bread out of the ovens on the street below. Everything tastes slightly of sand; even the bread had a grittiness from the fine sand that blew into the dough as it was being prepared. Our guide told us that people who live in the city often lost their teeth early because the sand in their food slowly grinds down the enamel. That trip was in 2003, now all of Timbuktu has changed. A radical Islamist group have taken over most of Northern Mali and determined to destroy the tolerant Islamic culture that had developed there. According to the BBC News “The Ansar Dine group, which is said to have links to al-Qaeda, seized control of Timbuktu earlier this year and said it destroyed several of the city’s shrines as they contravened its strict interpretation of Islam. 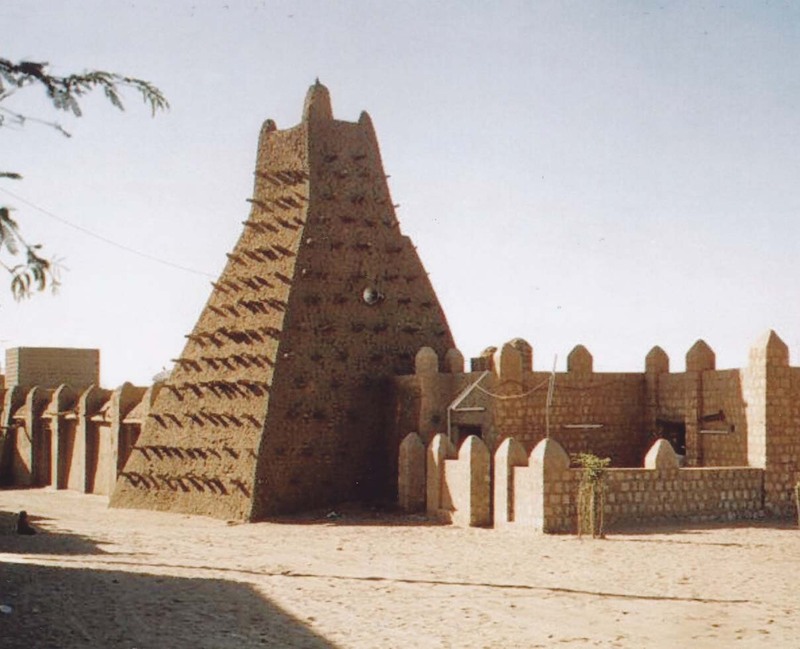 Ansar Dine spokesman Sanda Ould Bamana told the BBC that Islamic law did not allow the building of tombs taller than 15cm (6in).” The tombs that had stood for hundreds of years were destroyed and so was the magnificent wooden door of the mosque. People in Timbuktu are fleeing to Bamako or to other countries because armed men are roaming the streets enforcing strict sharia laws. What is it that drives people to destroy the past? What is it that makes warriors think they can erase history and rewrite it as they think it should be? Perhaps we’ll never know the answers, but the least we can do is to try to preserve as much of the history of our world as we can. And we can encourage UNESCO, which has announced that it is concerned about Timbuktu, to act quickly to try to preserve these important cultural artifacts. 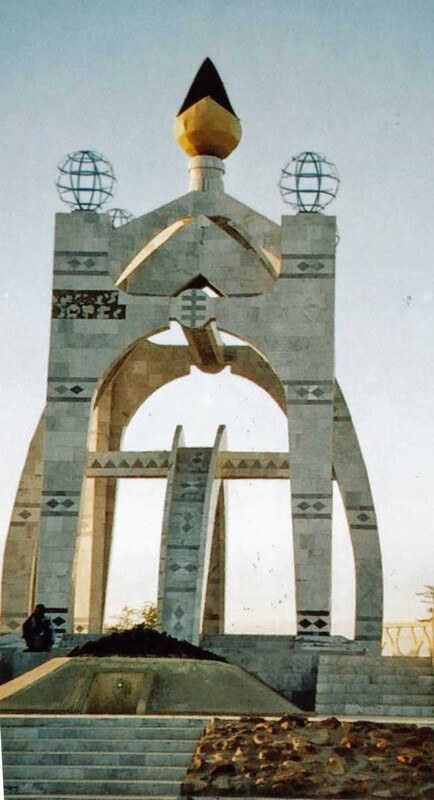 They are important not only to Malians but to people everywhere who care about human culture.